By Nancy Young in Artwork. Updated on February 16, 2019 . Billboards are static advertising avenues and while buntings and posters have a bit more flexibility, usually they are too small and stuck to really deliver that advertising impact. 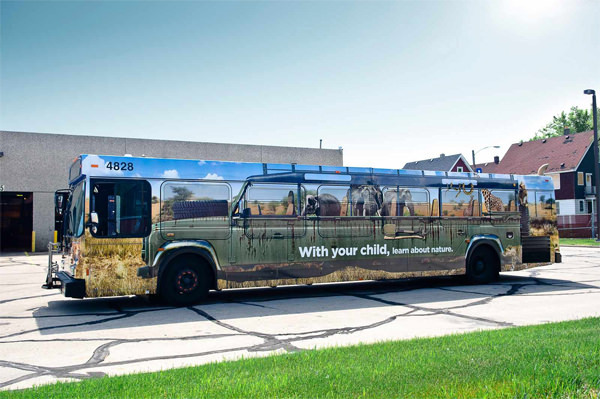 Buses though, buses have real awesome potential – you can see them on the road and it has moving parts (doors) that can be utilized for various marketing tactics to tell your products’ story. But why tell you when we can show you? 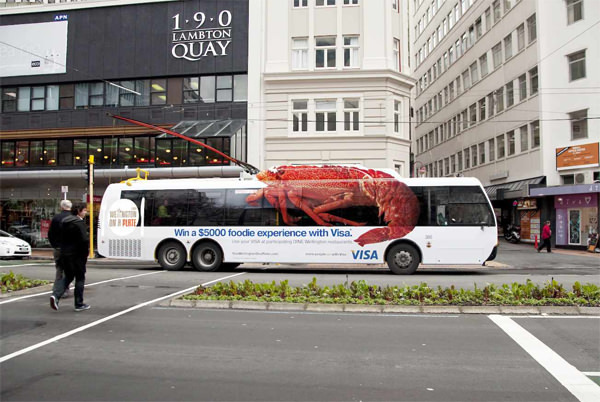 Check out how these 20 clever and creative ads that help advertisers run viral campaigns and reach a wider audience just by making its daily bus rounds. 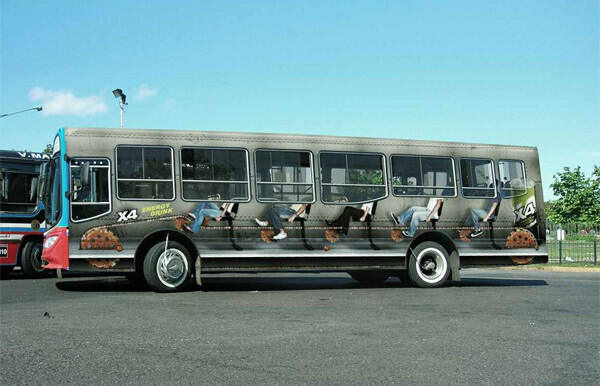 Many use optical illusions, strategically placed artwork and even the original bus parts to help leave a lasting impression. The wheels on the bus are utilized to turn this bus into a giant skateboard. Don’t think you want to attempt a 360 flip on this one though. 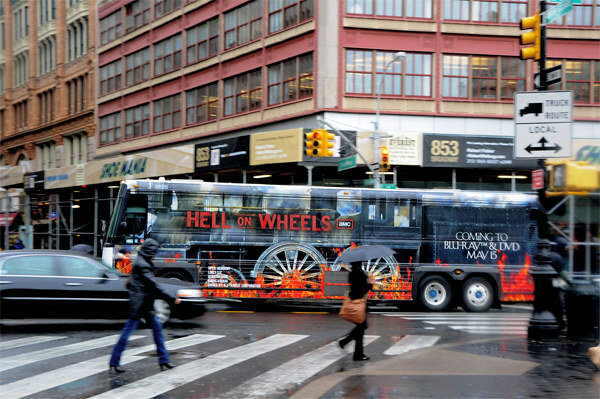 In conjuction with the DVD release of the first season of AMC’s series “Hell on Wheels” in 2012, this bus was made to look like an old school locomotive train. At least it doesn’t need a railroad to run. Community First Credit Union: Flexible Bus by I.D.E.A.S. At first glance, it looks like the bus has gotten into a it of an accident. 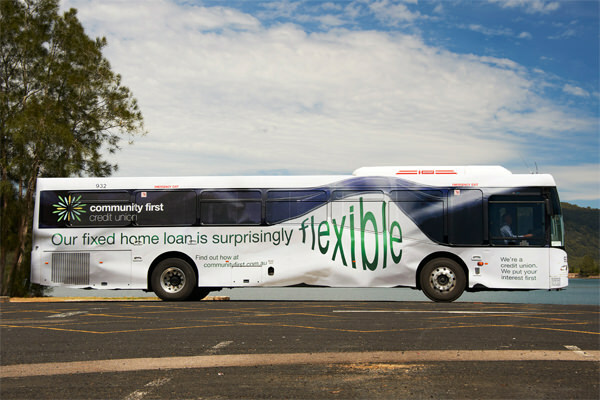 Don’t worry though, your home loan can just as ‘flexible’ as this bus. 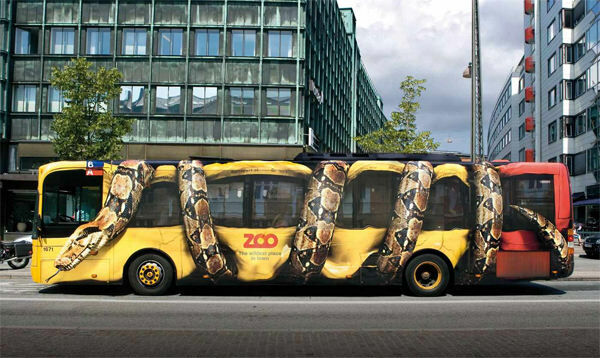 If this giant snake squeezing the bus doesn’t get you to visit the Copenhagen Zoo, well, then I don’t know what will. 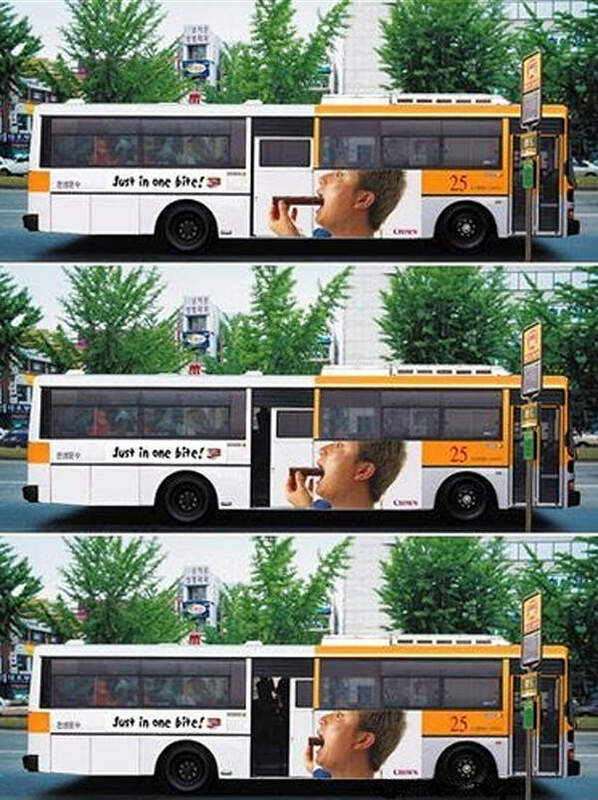 “Just one bite” Bus Ad by Unknown Agency. Most chocoholics would be able to eat something they love in one bite. 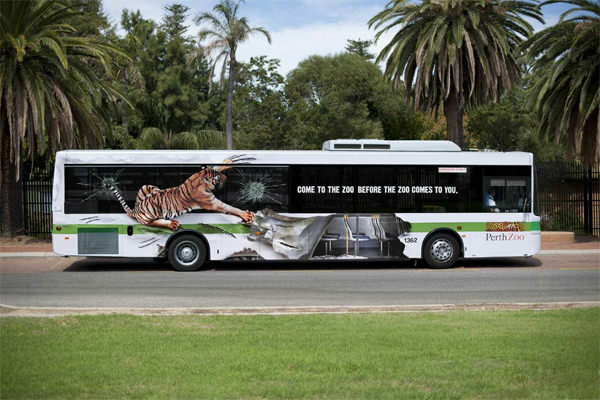 This bus ad cleverly portrays that through the use of the bus door and the man on the side. 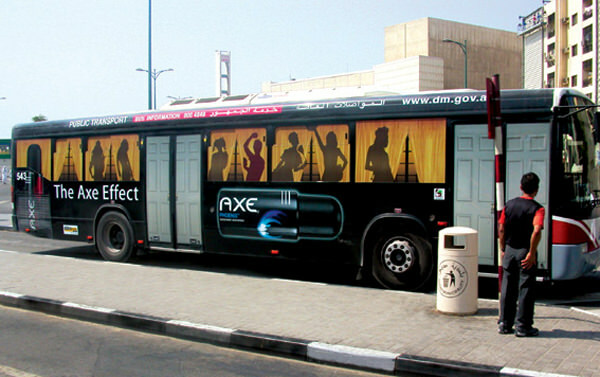 This bus is now a party bus thanks to the axe effect. Which man wouldn’t want to party on a bus like that? Even buses need love. 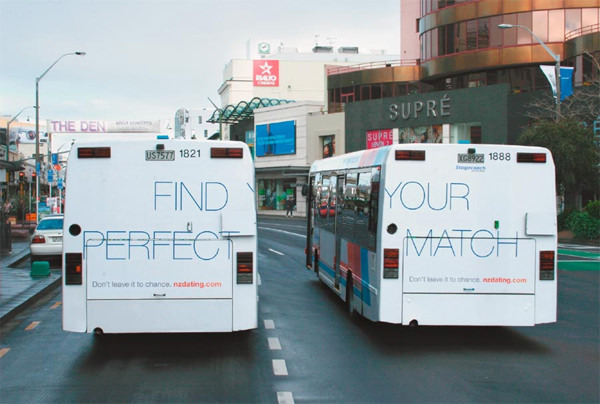 Sometimes you can’t leave things to chance and need to take the steps to find your own perfect match, as illustrated by this dual bus ad. You might want to get your Visa handy for the “Wellington On a Plate’ÃÂ culinary festival. This huge lobster with it’s antenna sticking out will surely get any foodies attention. This gives new meaning to the phrase, “It’s a jungle out there!” This tiger will come say hi to you if you don’t pay it a visit at the Perth Zoo. 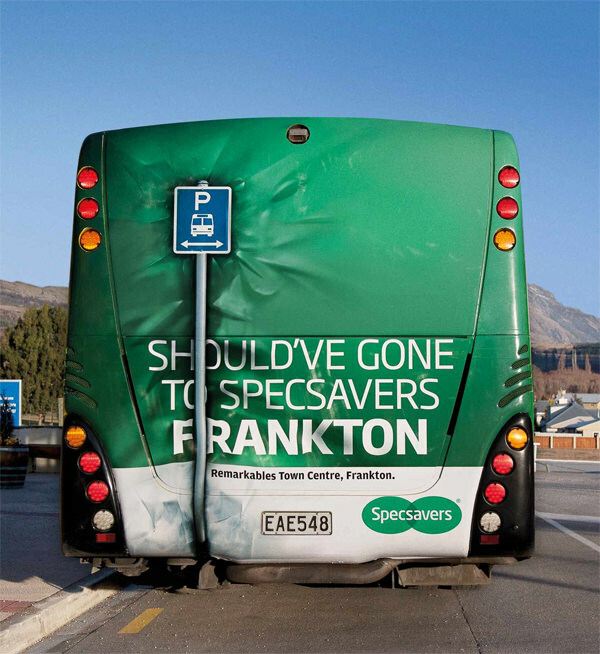 Well, we all know that this little “accident” could have been avoided had you gone to the Frankton Specsavers right? It’s a bird! It’s a plane! 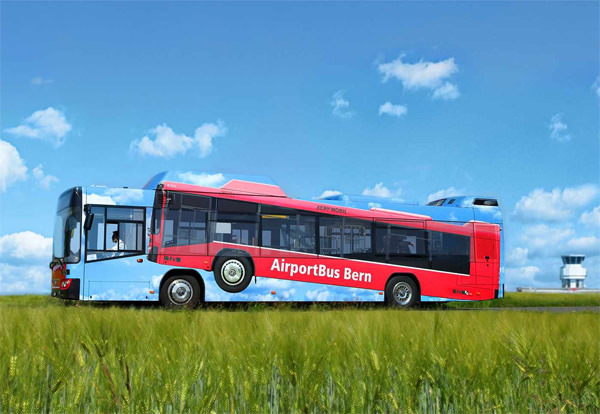 No, wait, it’s a flying bus? For those of you who need to take the Airport Bus, at least you know what you’re getting. People tend to litter when it’s not their own personal vehicle. 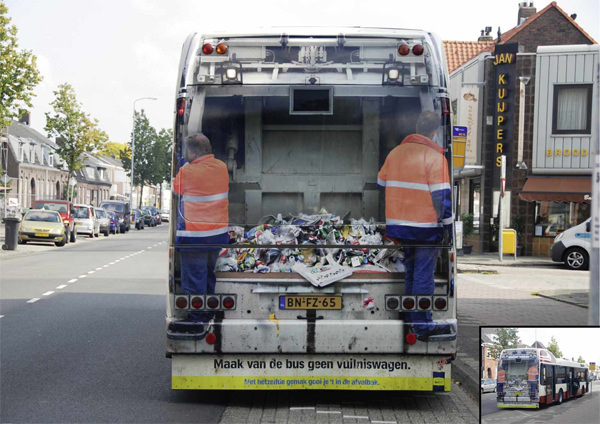 This bus ad serves as a reminder about the importance of proper trash disposal. Nature calls! And it’s reminding parents to be involved in their child’s education. After all, the parents need to help their cubs out, right? 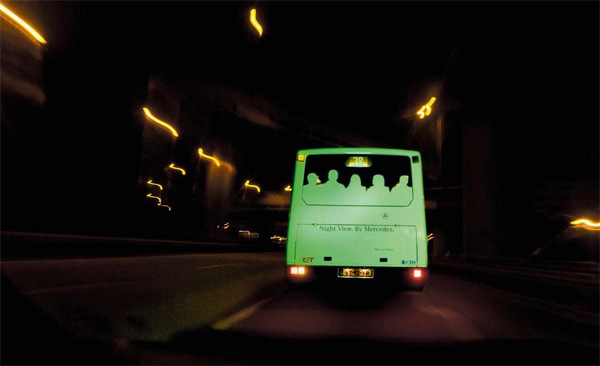 Special glow-in-the-dark paper and various sillhouettes on the back of the bus gives you the opportunity to have a glimpse of what the Mercedes Night View has to offer. 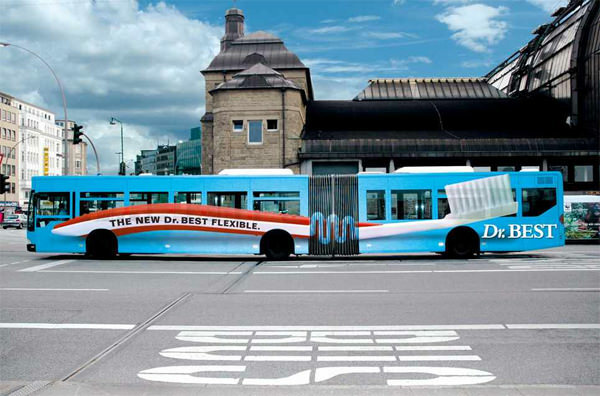 This flexible toothbrush ad makes use of the joint in between the carriages to showcase just how flexible this toothbrush can be. Just don’t ask for floss when you’re done. Sometimes a terrible job can make you consider other ‘alternatives’. 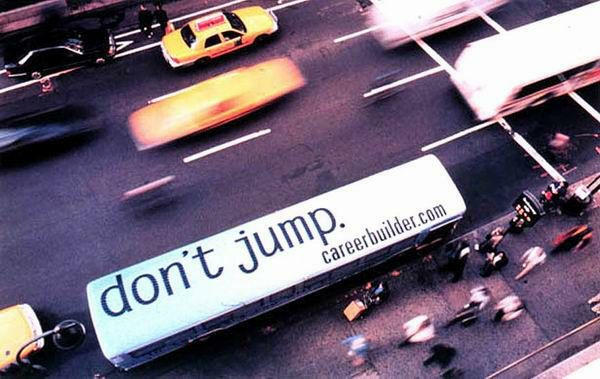 This bus reaches out to those people to give them another chance to reconsider. No need to go diving to have a look at the sharks. 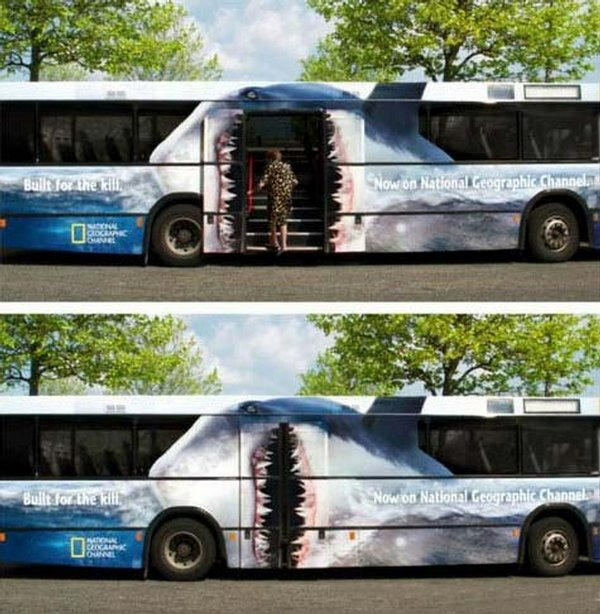 This National Geographic Ad will roll right up to you and feed you to the shark itself. A bit of X4, teamwork and determination and you’ve got enough power to move a bus. Or at least make an impression. No butts about it, colorectal cancer is a serious issue and this bus ad uses shock value and humor to remind you to get your check-up. 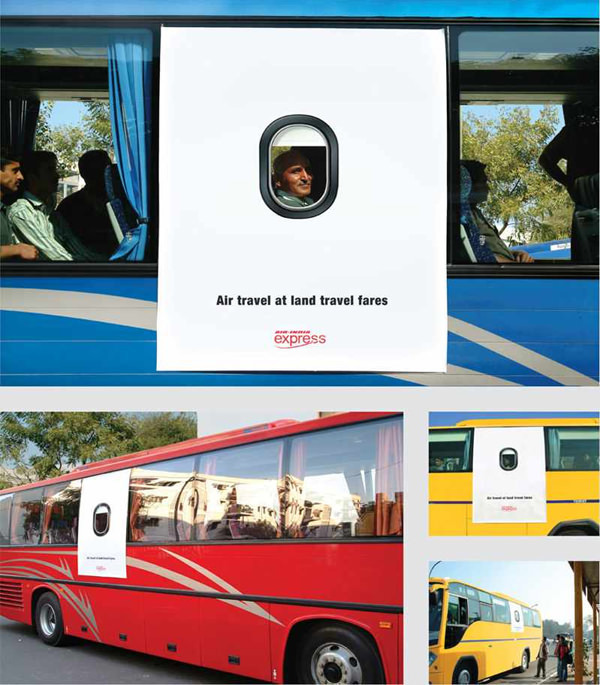 Not everyone can afford to travel by air but with a clever ad that transforms your bus seat into a plane seat, it may just convince you to.